Tampa pain specialist Dr. Rodolfo Gari of Florida Pain Relief Group is an expert in the treatment of chronic pain due to arthritis. In a recent appearance on the News Channel 8 program “DayTime”, Dr. Gari spoke about the various symptoms of pain from arthritis and the treatment options that exist. You don’t have to suffer in pain from arthritis. Each of our Tampa pain doctors have years of experience treating arthritis pain using a variety of techniques and procedures. Schedule an appointment at one of our Tampa pain relief center locations in East Tampa, North Tampa and Carrollwood. 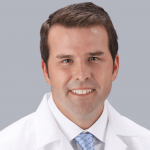 Chad Gorman, M.D., is a board-certified physician specializing in treating chronic pain of the spine and extremities.